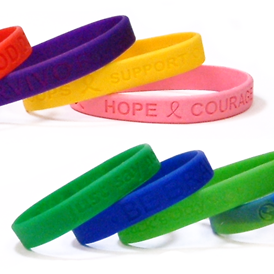 Highest quality silicone custom wristband! Completely custom, can do logos as well. Any PMS color for the band! Min qty is 100 pcs. SW-0101 - Glow in the dark, Debossed. Frosty clear silicone changes to glow in the green, red or blue (choice of one). SW-0102 - RECYCLED silicone, Debossed. 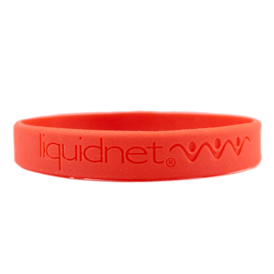 Made using recycled silicone and has a 4 week production time.